Our client is a start-up company who wanted to create a software as a service (SaaS) web application which would serve dental professionals. The application would serve as a HIPAA-compliant product where dentists could exchange patient referrals electronically and track patient progress. The application would also contain a social networking component which would enable dental professionals to network with one another on a professional level. Secure login: users can login securely with username and password. Site administrators can create users and manage roles and access to features/functionality. Electronic form processing: currently dentists send paper-based patient referrals to one another, often from a general dentist to a specialist dentist. This new application would enable dentists to send electronic referrals to one another that are specific to their workflow. The referral forms pertain to a specific dental specialty (e.g. Orthodontics) and capture clinical data that replaces paper-based systems used mainly today. Patient record storage: all patient data is stored in an AES encrypted database which encrypts the information “at rest” (a HIPAA requirement), making it unreadable if the system was to be compromised. Dentists can access patient history and transmit patient information securely to other dental specialists in the referral network. Storage of patient radiographs (x-rays): dentists can upload patient radiograph images which are stored securely and accessed by dentists in the patient’s referral network. Dentist practice profile creation and management: dentists can create profiles for their practices including specialties, office hours, practice descriptions, insurance accepted, and more. Workflow management: rules based workflow which manages the sending and receipt of referrals with an audit-able patient record history, and a system for maintaining the status of referrals as they move through the process. Email and in-application alerting: dentists are alerted via visual alerts within the user interface (UI),and also via email notifications when they receive referrals, when a status changes, or when another dentist requests to connect within the network. Cloud hosting: the system was hosted at Amazon EC2 on a Linux-based hosting platform. Social networking (professional connections, messaging, recommendations): the site also serves as a professional networking site for dentists. Dentists can search for other dentists based on specialty, location, etc. and request to “connect” with one another. 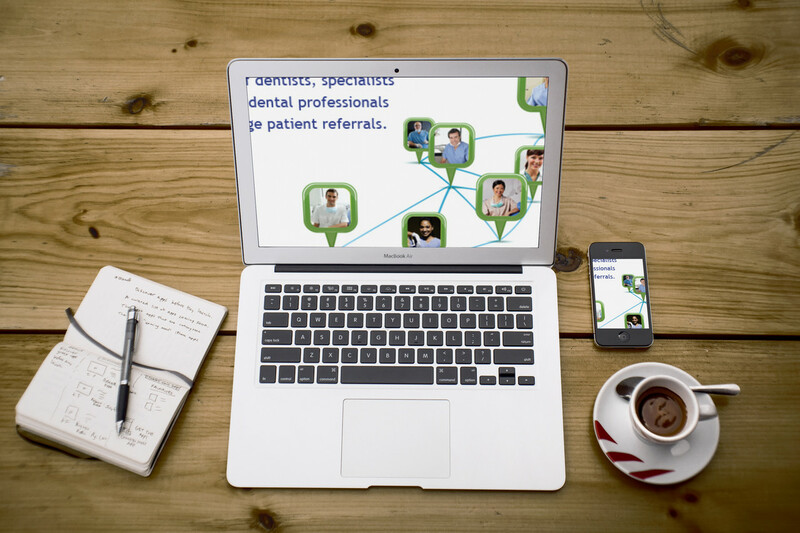 Dentists can view profiles of other dentists, as well as referral statistics, and recommendations by other dentists. Security: storing patient data in a secure manner. Complex workflow rules: many different workflow rules to manage. Tight time frame requirements: the client went from concept to beta launch within 5 months. Shifting requirements: the requirements changed often as the client was testing and learning from the marketplace. Outright used Drupal CMS as the platform for building the application due to the large number of open source modules (rules engine, alerting engines, form construction, image handling, encryption, authentication, etc.) that were available which could then be customized for the client’s needs. Drupal also enabled Outright to quickly develop key functionality, gain client feedback, and implement changes rapidly as requirements changed during the project life cycle. Drupal enabled the client to deploy quickly and easily to both Windows and Linux servers as needed.